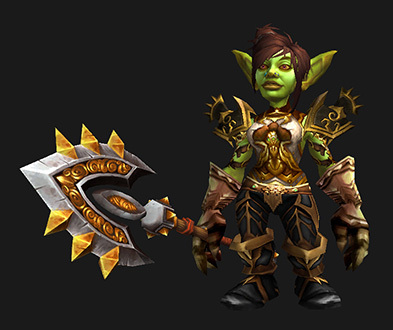 This tag includes transmogs available to all plate-wearing classes and to warriors specifically. Okay, so when I look at that sword, I see watermelon. Is it just me? I’m going to go with red. 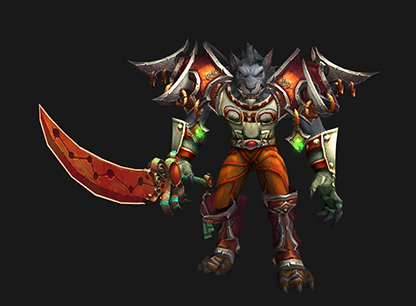 I’ve been dreaming about a set incorporating Symbolic Legplates since transmog was first introduced. Ultimately, I decided to highlight my favourite colour of the moment: teal. Of course, my clothes horse of a paladin is unlikely to ever wear it, because that shield is a rare drop from heroic Primordius. Curse you, Bulwark of the Ancient Kings! This one just breaks my heart. When I’m designing a transmog set, I start with a piece I love — in this case, Bulwark of the Ancient Kings — and check Wowhead to ensure it’s still around before pulling together the rest of the set. But while scouring the comments section in preparation for this post I discovered that, whatever Wowhead might suggest, the pattern required to create this breastplate is no longer available. Even worse, the item is soulbound when crafted, which means only blacksmiths who learned the pattern before the removal of armour specializations could ever hope to use it. If you meet that criteria, I envy you greatly. If you don’t, Heroic Judicator’s Chestguard is an okay substitute. Female toons, you’re going to want to preview this breastplate before committing to it. Your tolerance for eye-breasts will probably vary. 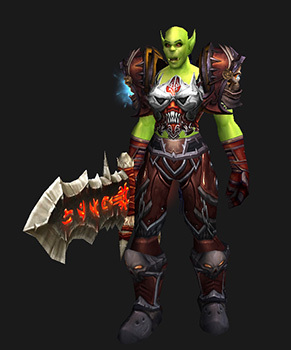 This set was intended to have more of a Death Knight bent to it, as was probably evident from the blood-drenched skulls motif, but none of the pieces have class-based limitations. That said, unfortunately, Edge of Agony is a Horde-only weapon. 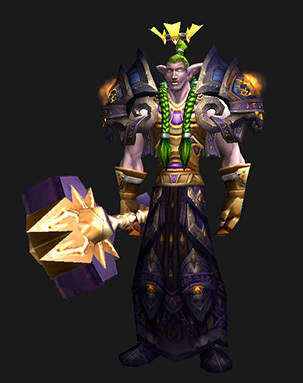 Should you faction-change to Alliance, you’ll find yourself holding Reckoning instead. Rat rending has never been so fashionable. Okay, I really, really love this one. Laying my hands on the Plated Fist of Hakoo is going to be a trial (right now, there are only 46 anywhere), but the Heroic Judicator’s Chestguard dropped during my last Sunwell Plateau run. That just means dragging Cathedral back through Black Temple in search of those gorgeous shoulders.